Stafford, VA. A suspect was arrested on Saturday by deputies with the Stafford County Sheriff’s Office for driving under the influence with a child in the vehicle following a hit and run. On March 30, 2019, at approximately 7:22 p.m., Deputy Forman responded to reports of a hit and run in the area of Cambridge Street and Warrenton Road. A witness observed the hit and run and subsequently followed the suspect vehicle to the Olde Forge neighborhood until deputies arrived. The witness reported observing the vehicle driving all over the roadway. Deputy Forman located the suspect vehicle at the 800 block of Bellows Avenue and initiated a traffic stop. The driver was identified as Allexys Knight, 25, of Fredericksburg. The deputy also detected the strong odor of alcohol emanating from the driver. Knight told the deputy she had been drinking and was likely too intoxicated to drive. Deputies noted there was significant damage to all sides of the vehicle. There was also a two-year-old child in the backseat of the vehicle. A family member responded to the scene and took custody of the child. Field sobriety tests were subsequently conducted and the suspect was taken into custody. 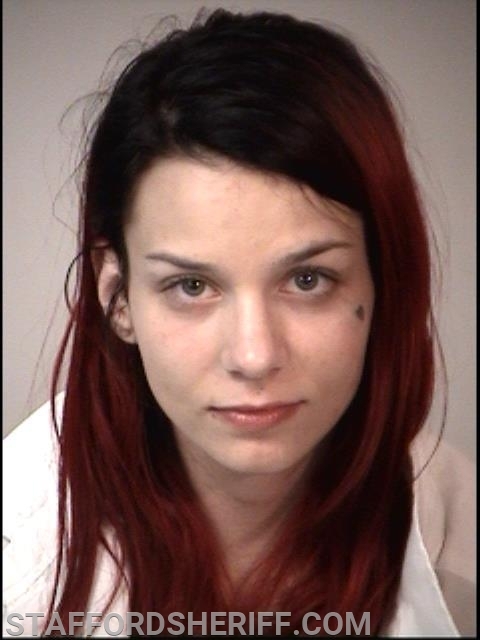 She was incarcerated at Rappahannock Regional Jail until sober on charges of driving under the influence, felony child endangerment, driving suspended, hit and run, and expired registration.